The Finance Bill seeking to suspend implementation of 16 per cent VAT on petroleum products was Thursday presented to President Uhuru Kenyatta. State House Spokesperson Kanze Dena in a statement said that National Assembly Speaker Justin Muturi delivered the Financial Bill (National Assembly Bill No. 20 of 2018) for consideration by the President. The Bill was amended by MPs to suspend the implementation of the 16 per cent tax by another two years and remove two other revenue streams for the government - one a fee on salaried workers to fund housing scheme and another a fee on high bank transactions. 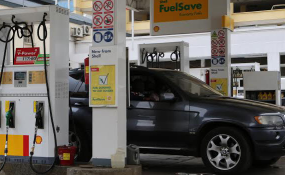 Pressure has mounted for the Head of State to sign to law the Bill suspending the new taxes on fuel to spare Kenyans the agony of the high cost of living. The president returned to the country from China on Sunday but has remained tight-lipped on the matter amid the cost of living. If he assents to it, the VAT will be suspended, bringing down the cost of fuel.